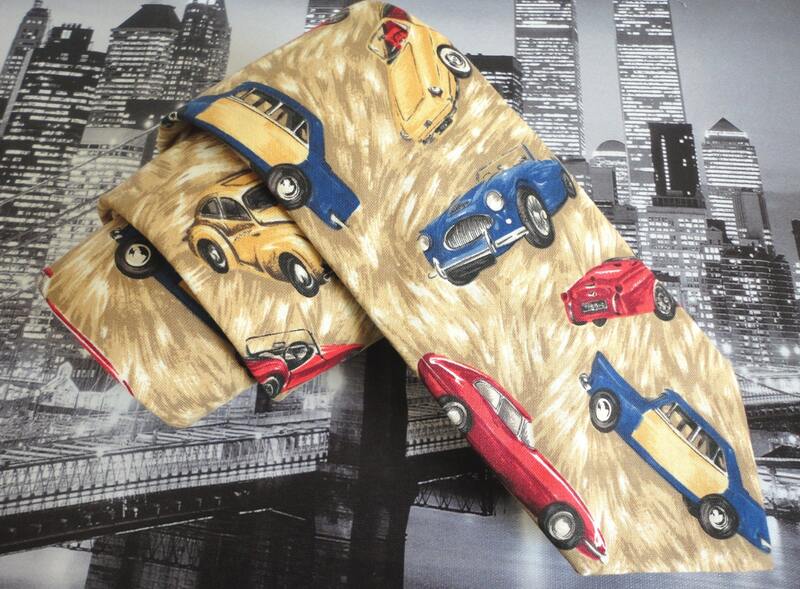 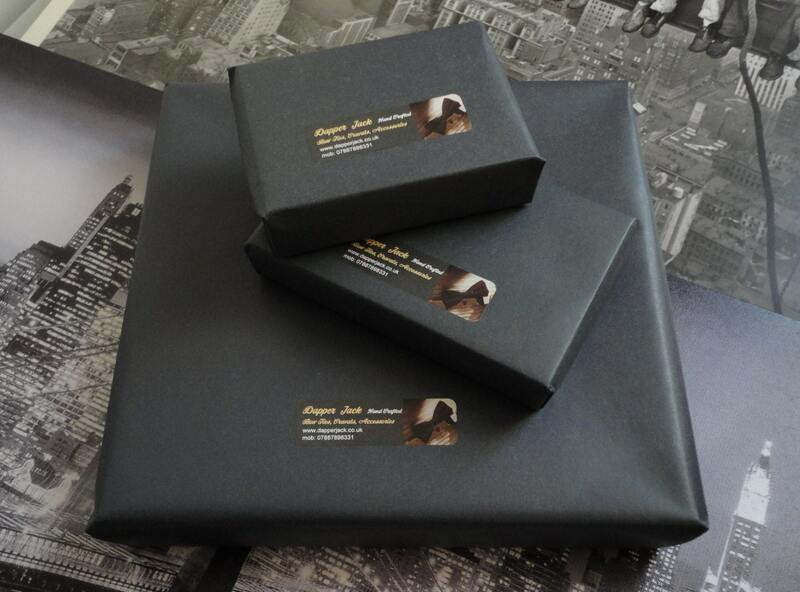 Beautifully made standard width neck tie in a classic car cotton print, delivered in a gift box. 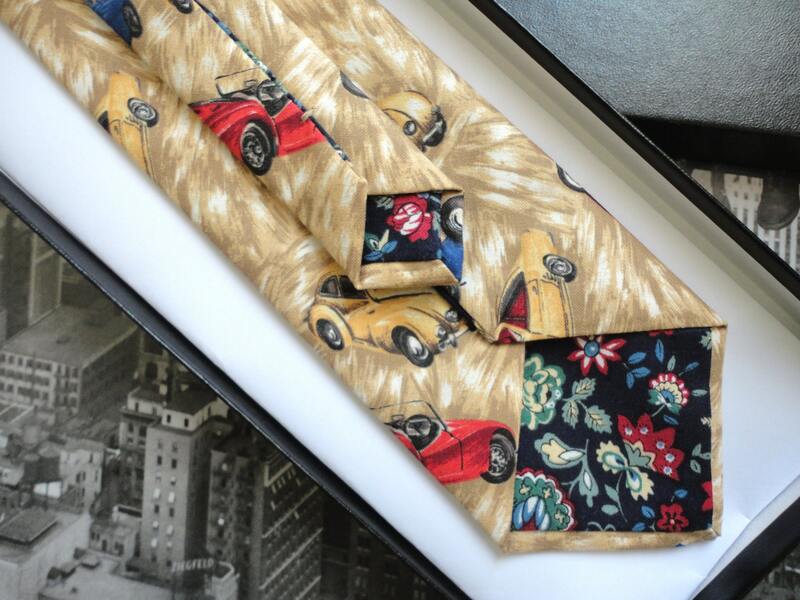 All the ties are made in a traditional manor; cut on the bias and interlined with either man made or wool blend interlining. 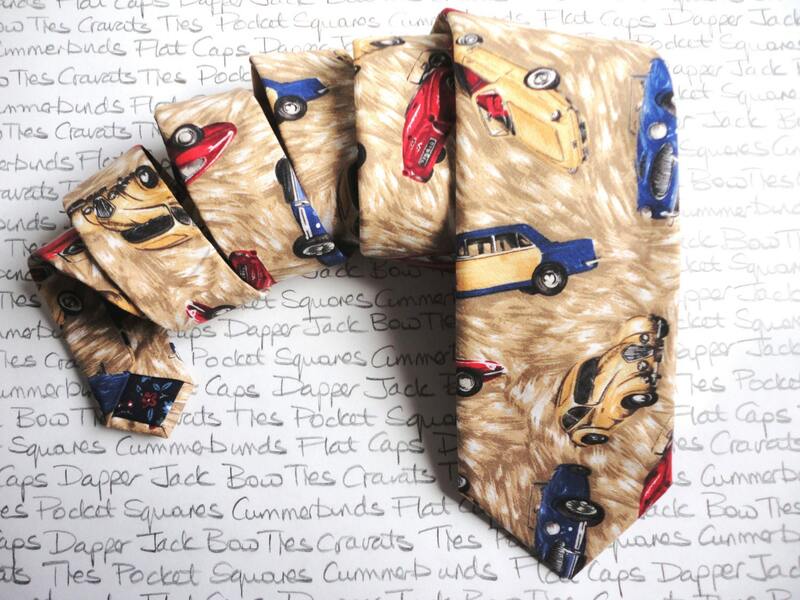 Standard ties measure approximately 55 inches long and 3 inches wide at the widest point. 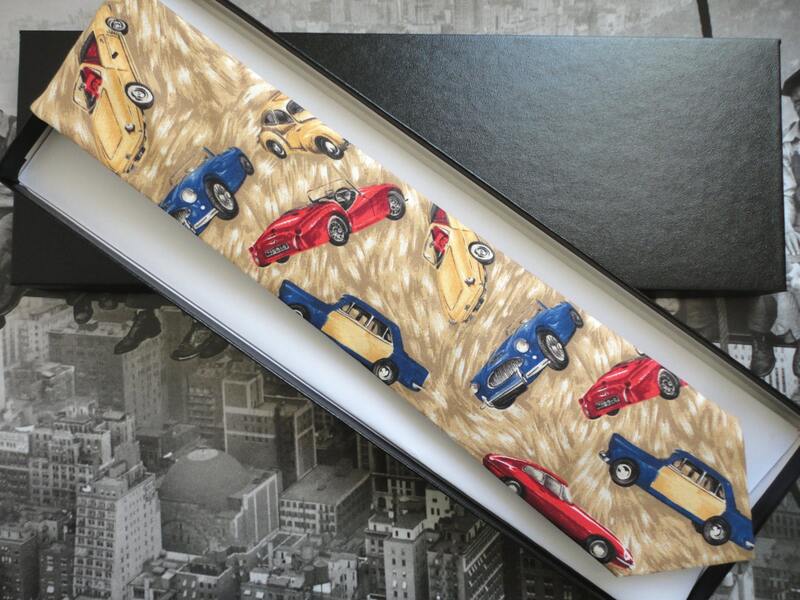 Skinny ties measure approximately 55 inches long and 2 inches wide at the widest point.